Elementary graduates are no different from any other group of graduates. Sure, they may not have reached the advanced educational achievements doctorate graduates have, but in terms of pride and that certain feeling of accomplishment, you really can't tell the difference. 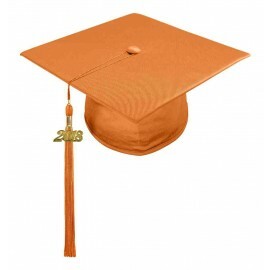 Being such a monumental occasion in a young graduate's life, it is only but proper to provide them with the very best elementary graduation cap and tassel to complete their outstanding graduation attire. 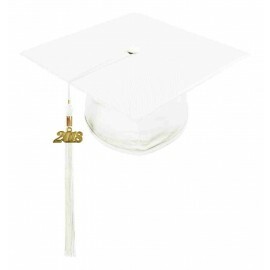 Here at Gradshop, you're certain to find the elementary graduation cap and tassel to suit your needs. 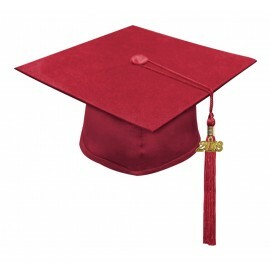 Our extensive lineup of quality caps and tassels are sure to meet the requirements of any school as well. 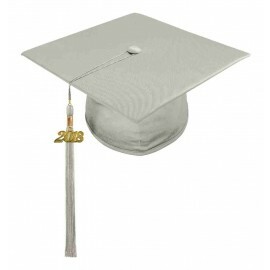 Gradshop's elementary caps are meticulously constructed with an elastic head band to ensure a comfortable, secure fit. It also has a motorboard top part construction, providing that standout look and fit around your young graduate's head. Wrapped in a carefully selected silk-like fabric, the cap gives a wonderful shine sure to make your child stand head and shoulders above the rest. On the other hand, the tassels are masterfully made using nothing but the highest quality poly/rayon blend fabric. What's more, you can easily purchase these amazing caps and tassels at astonishingly low prices! 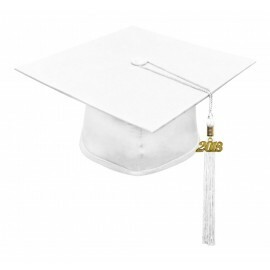 If you truly want to make your child's elementary graduation extra special, there's no need to look anywhere else - check out our complete line of Elementary Graduation Caps and Tassels now to find the one that best suits your young graduate's needs!